Southampton may be an unlikely breeding ground for top Premiership talent but as all Spurs fans will know, they gave us PFA player of the year Gareth Bale while apparently there are some ex-saints plying their trade up the road. With that track record, it’s no surprise that the top sides are keeping tabs on the south coast’s biggest club and Spurs are believed to be preparing a move for Luke Shaw, a 16 year old who has just broken into the first team squad at St Mary’s. Shaw has yet to play a first team game but has impressed in his age group at England level and while Arsenal scouts have been watching him, it’s thought that Harry could use some old contacts to get his man. In the meantime, Spurs are also said to be preparing a bid for another young player; this time it’s 15 year old George Green, who scored a hat trick in a youth game while on trial at White Hart Lane. Everton have been rumoured to be close to a move for the Bradford midfielder, but Spurs could be ready to gazump the cash-starved Merseysiders. 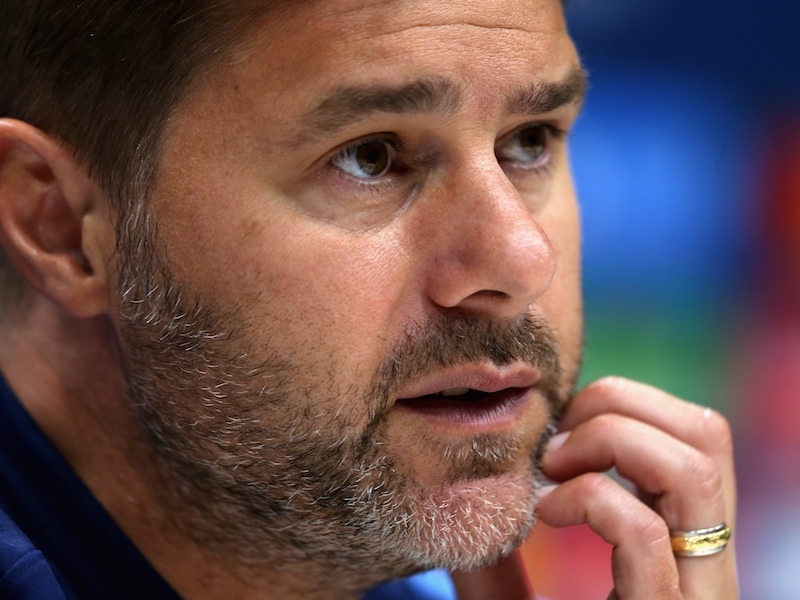 Both players look to be good prospects and while it would take time to turn them into first team players, they could form part of a capable dynasty at Spurs that may include the likes of Tom Carroll, Harry Kane and Souleymayne Coulibaly. Thought it was pretty much settled that Everton had signed George Green? Both Harry and Spurs are despised by most saints, Harry for getting us relegated and then jumping ship back to the Skates, only to keep them up a year later, and Spurs in general after the whole Glenn Hoddle and Dean Richards fiascos. Plus in the short time since the most corrupt tax dodging man in football left us the club’s management and ownership have been completely changed. So i wouldn’t count on old twitcher having any contacts left at saints, and as we have considerably wealthier owners than you and are going places i wouldn’t expect to pick anymore players from us in the future! What a bitter fellow you are. Richer owners than ours who? I thought Joe Lewis was a Billionaire? And regardless… your rich owners won’t be in the champions league for at least 5 years (that is if things go exceptionally well for you) more likely to be at least 10 years, if ever at all, so for the time being at least – we will still be able to attract your up and coming stars! Strange im fairly certain spurs main shareholder is one of the richest men in the world he just doesnt bank roll the club like its his current play thing. TOON TOON BLACK & WHITE ARMY!!! You can’t reach our place, we’re a few shelves out of reach. Shaw has not broken into our first team. Not even made the bench in a league game. An unlikely breeding ground?! Ummm Bridge, Walcott, Bale, Chamberlain and now Shaw! We being through more talented British players than most other clubs! I hope the premiership clubs keep their mits off, it’ll only stall his career. It said ‘first team squad’. It means training with the first team. Touchy bunch you saints. 1 or 2 people make saints fans a touchy bunch? You make three. Presuming you’re a saints fan. He didnt mention oxtail and walcrap because this is a spurs blog and he did later mention two other players up the road. If going to a premier league clubs stalls their career how come Bale is a world beating winger and Walcott gets in the England squad?? Do you know that Toon MF Ferguson is one of the most popular players in the Barclays Fantasy PL? He aint kicked one ball, yet his price is rising whilst warming everyones bench cos he’s only 4m quid! Matthew Harris writes, “Southampton may be an unlikely breeding ground for top Premiership talent….” That is the first line! I’d like to raise the point that Mr Harris knows nothing about football My Lord, too many players to mention even since Alan Shearer and many many before him, case for the prosecution rests. “the south coast’s biggest club” ?? SPURS HAVE KNOWN TO THEIR COST THAT SOUTHAMPTION ARE A VERY HARD TEAM TO DO BUSINESS WITH , THEY HAVE A CHAIRMAN IF HE STILL SITS IN THE BIG SEAT AT SOUTHAMPTION CRIED AND WHINGED AND MOANED EVERY WAY TO THE TRANSFER DEALINGS WITH SPURS , HE HAS SWORN NEVER TO DO BUSINESS WITH SPURS EVER AGAIN UNTIL LEVY OPENS HIS WALLET THAT IS AND THEN HE BECOMES A VERY NICE PERSON INDEED . More beggarin belief if it ain’t bad enough battling against the northerners on a regular basis that these muppets on the south-coast have even less savy. Not surprising though, having all your best players nicked ALL the time, which, let’s face it, is akin to giving head at a finger-click.